Project: Concept design, print, distribute brochures for WDA's SPUR campaign. These brochures been distributed over 30 CCs & Government institutes to encourage the participant from the public. Brochures are printed with 4 major languages (English, Mandarin, Malay and Tamil). Click "Contact us" below, if you would like us to do similar work for your organisation or company. Skills Programme for Upgrading and Resilience (SPUR), is an enhanced funding scheme developed to scale up training programmes to help companies and workers during the recent economic downturn and to build strong capabilities for the recovery. Through SPUR, workers have the opportunity to gain a competitive edge in the job market while employers are able to manage excess manpower, save manpower costs and retain workers by channeling them for skills upgrading and development. The goal is to help workers remain employable, save jobs and strengthen individual / employer capabilities to prepare for the economic upturn. SPUR offers training programmes to help workers to upgrade skills (up-skill) to do better in current job or acquire new skills (re-skill) to take on jobs in a new industry. 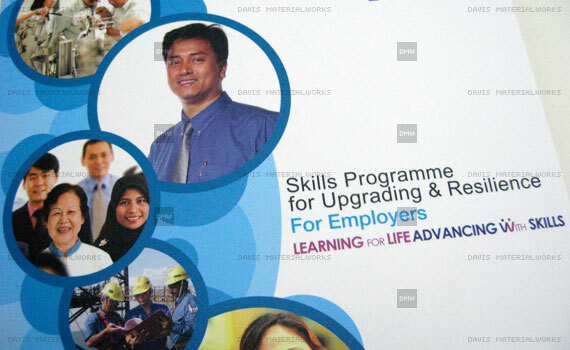 Under this programme, workers can choose from over 1,000 courses ranging from healthcare, education, security, social services to tourism, made available until 30 November 2010. There are total of 2 versions. - Ver. 1 is for employers. - Ver. 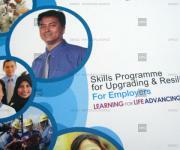 2 is for jobseekers.